Perspective for my first impressions: First time viewer of Little Men. Nor have I read Louisa May Alcott’s 1871 novel. Like Little Women (1933) I’m coming to this one either ignorant or carrying a totally fresh view, depending upon how you label it. I watched Little Men immediately after playing Little Women for the first time. No, it’s not nearly as good, and Kay Francis is an altogether different Jo March than Katharine Hepburn had been. Totally different class of movie, yet Little Men was enjoyable enough to make me wish I had watched these out of order so I could better appreciate this sequel. If you skipped the opening credits on Little Men it would be several minutes before you even realize it’s connected to Little Women. 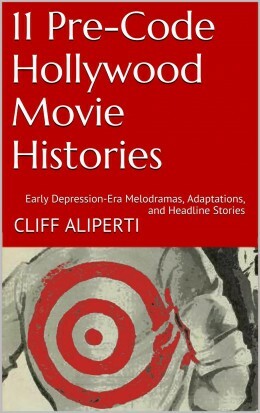 Apparently the same would be true for devoted readers of Alcott’s original novel as the characters played by George Bancroft and Jack Oakie won’t be found inside those pages. 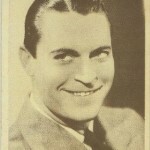 The early focus is on con artist Major Burdle (George Bancroft) who is running a scam selling framed portraits of George Washington by mail for a dollar. 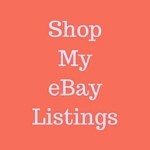 Paying customers receive a sheet of paper with a wide frame surrounding the tiny 1¢ postage stamp that the Major sticks into the middle of each sheet. 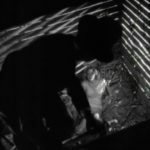 He is soon joined by the even more crooked Willie the Fox (Jack Oakie) who delivers the Major a baby courtesy of a recently deceased cohort. Willie rushes back to his life of crime leaving the Major determined to rid himself of the unwanted baby boy. 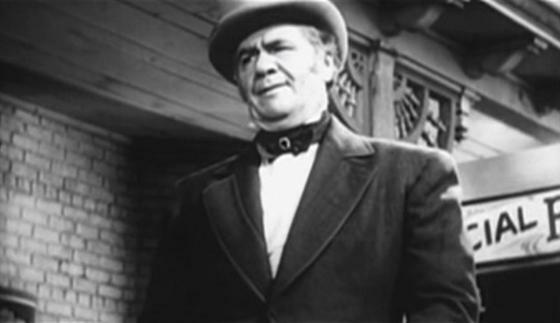 When leaving the bundle on the orphanage steps the Major has his first doubts over dumping the child. Those doubt are sealed by a run-in with the cranky matron a few moments later. He grabs the boy, names him Daniel, and makes him his own. By his standards Major Burdle goes straight selling a snake oil of some sort while Danny (Jimmy Lydon) conducts sales amongst the gathered crowd after each Burdle pitch. A group of locals soon descend upon them and demand that Danny be put in school for his own benefit. Major Burdle agrees. Right about this time Willie rejoins the Major after escaping from jail. He proudly carries the wanted poster offering $5,000 reward for his capture. Upon recommendation by the townies Burdle delivers Danny to the local Plumfield School for boys the next day. 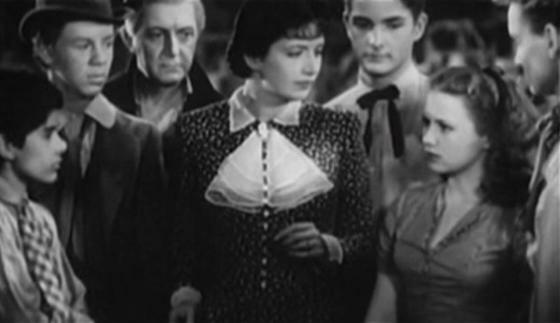 The school is presided over by Professor Bhaer, playing by Carl Esmond, and, Christopher Columbus!, Kay Francis as Jo March. 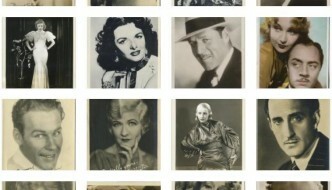 Comparisons are inevitable here and while Esmond is okay in taking over the Professor from the more reserved Paul Lukas, Kay Francis pales in comparison to Katharine Hepburn as Jo. 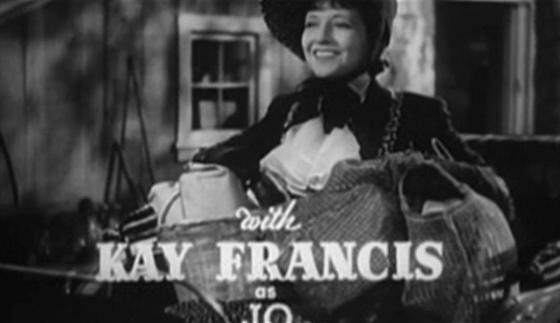 As a Francis fan that pains me to write, but Kay is dreadfully miscast here. Yes, we’re meeting an older Jo at this point, but all of the liveliness seems to have drained out of her. She’s kind enough towards the children but not at all playful. The youthful boisterousness that Hepburn brought to the part has been completely snuffed out. 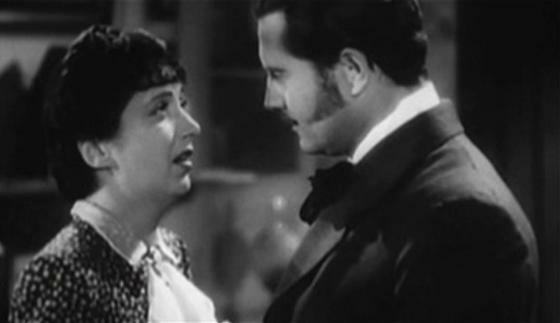 Kay Francis breaks up a brawl. 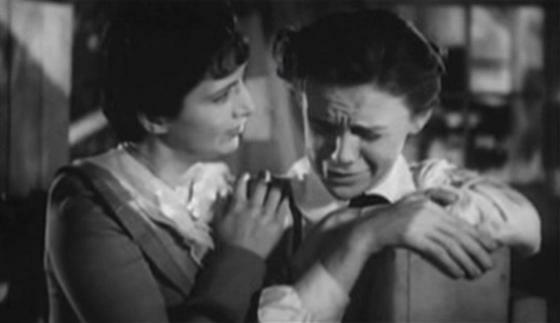 Jimmy Lydon at left; Ann Gillis at right. 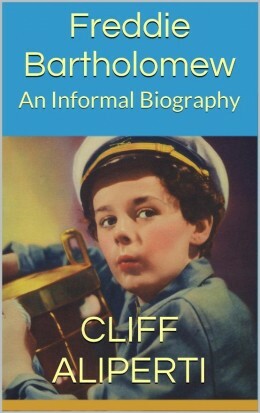 I found myself much more interested in what Bancroft and Oakie were up to than I did in the Bhaers life at the school. But Plumfield takes over as main setting of the story once Danny is dropped off there. It’s Danny’s period of adjustment that we’re drawn to at Plumfield, not so much the Bhaers, who almost seem like outsiders on the fringe of Jimmy Lydon’s world. One effective scene comes for Francis as Jo when Danny gets into trouble and a whipping is named as punishment. But at Plumfield the punishment is being made to give the whipping. And so Jo hands him a switch, holds out her open palm and demands Danny strike her hard. A single swipe is too much for the boy. He runs off crying giving Jo a chance to bond with him and give Francis at least one noteworthy moment in Little Men. Ann Gillis plays Nan, one of the few girls at the Plumfield school and one of the few younger cast members, besides Lydon, that I knew. 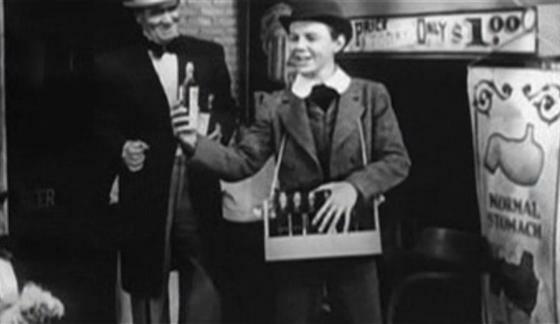 Little Men also affords small roles to recognizable faces such as Clarence Wilson, Isabel Jewell, Sterling Holloway and William Demarest. 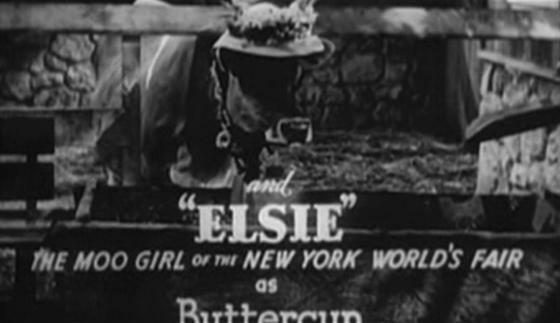 But more prominently billed than any of them is Elsie the cow as Buttercup. One of three films produced by Gene Towne’s The Play’s the Thing Productions, a company I mentioned in looking at Freddie Bartholomew, who appeared in their two other efforts: Tom Brown’s School Days and Swiss Family Robinson (both 1940). Like those other two films Little Men was released to theaters through RKO. Based on the Louisa May Alcott novel of the same name and directed by Norman Z. McLeod. 84 minutes. Premiered November 29, 1940. Unlike the wildly successful Little Women in 1933, Little Men was a box office loser. 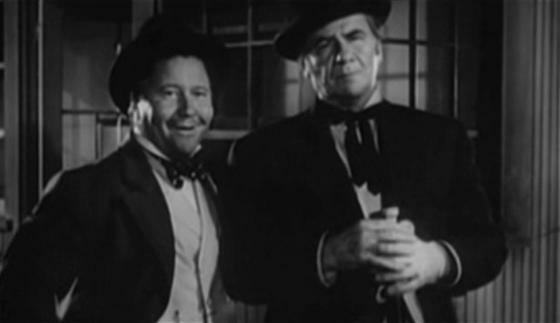 Bancroft and Oakie are the most fun of Little Men, though Oakie was a bit much on me—still, his fox sightings cracked me up every time! Little Men is extremely disappointing when compared directly to 1933 predecessor Little Women and so the back-to-back viewing I gave them is absolutely the last thing I would recommend to anyone new to the two movies. 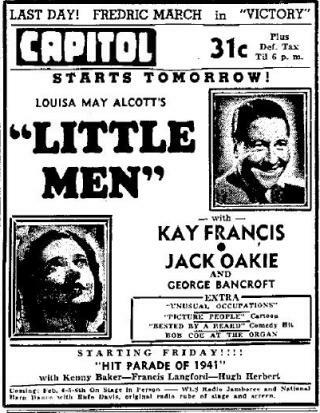 Little Men ad from the Wisconsin State Journal, January 27, 1941. Go in reverse order if you want to watch them in one night as Little Men does nothing to spoil the earlier movie beyond pairing off Jo and the Professor. Good as a comedy, but not nearly the warmth or subtlety of the earlier movie. Best to mark them off as completely separate entities, which beyond the names of those two characters they are. 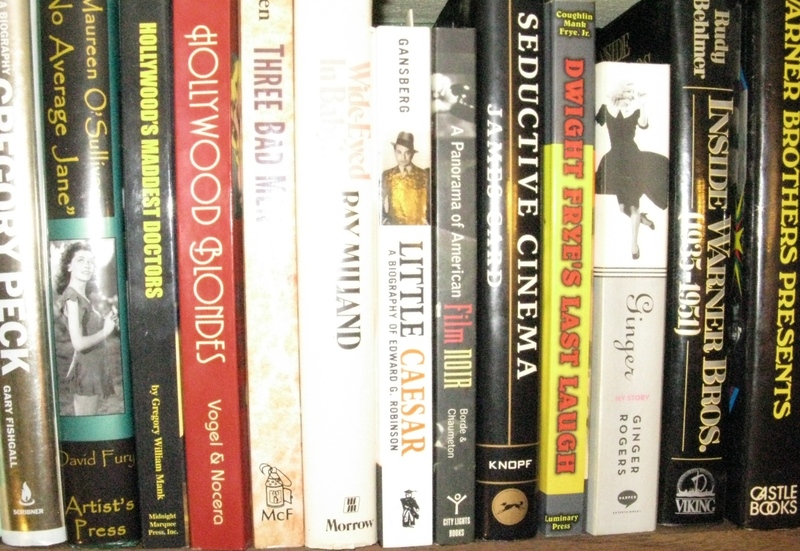 Little Men is a public domain title that can be viewed for free at the Internet Archive or, if you prefer something for your shelf, purchased on DVD from Alpha Video for dirt cheap. I viewed Little Men on Turner Classic Movies which is also where my accompanying screen captures come from. Check the top of TCM’s Little Men page for future air dates.